Told Me I Must Read! Robinson writes beautifully. I found Housekeeping to be a sip and savor book. There was no intense action or mysteries to solve, but the type of story one could imagine listening to sitting in a porch swing in a remote village in the Rocky Mountains overlooking a beautiful river flowing into a lake with a train trestle crossing the water...wait that sounds like the setting of Housekeeping. 4.0 stars and I will read more from Robinson. On a mountain above the clouds once lived a man who had been the gardener of the emperor of Japan. Not many people had known him before the war, but I did. He had left his home on the rim of the sunrise to come to the central highlands of Malaya. I was seventeen years old when my sister first told me about him. A decade would pass before I would travel up to the mountains to see him. He did not apologize for what his countrymen had done to my sister and me. Not on that rain-scratched morning when we first met, nor at any other time. What words could have healed my pain, returned my sister to me? And he understood that. Not many people did. It’s the beauty of Eng’s writing that captivated me from the first paragraph. 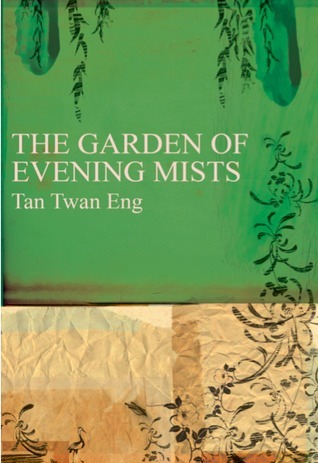 It flowed from his pen with its daydream-y quality as ethereal as the mists upon the mountains but yet the book holds within its pages the stark reality of World War II as observed by those residing in Malaya. The pain and suffering of the Chinese, Malayans, British and yes, even some Japanese is portrayed eloquently. What begins for Yun Ling Teoh as a quest to honor her slain sister’s memory becomes oh so much more. It has been such a pleasure to read this book that I look forward to reading The Gift of Rain penned by this same author. Mantel brings Henry the Eighth's England to life. 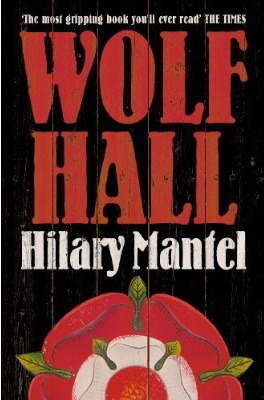 Although I am in the camp of those people who don't particularly like the way the book is written with Cromwell telling the story without it being obvious that Cromwell is telling the story, I respect Mantel's uniqueness of narration. The historical aspect of the novel proved to be excellent in that it offered not only an unusual viewpoint (coming from Cromwell) but it came from someone who didn't have a royal background. I appreciated the look at Anne Boleyn as a conniving woman versus the poor victim of Henry's rage for not conceiving a son. The story left a lot to think about in regards to courtier's roles, schemes, etc. and left me eager to listen to the second book in the series, Bring Up the Bodies. The continuation of the alphabet with (I)ndia! I will be taking my blog readers on a journey through India and its caste system. The plan is to learn something about the people and culture in each level of the caste system. Stay tuned!